When leasing any real property, the landlord has a duty to protect the neighborhood from the criminal acts of the landlord’s tenants. This basic duty applies to any kind of leased real property, whether commercial, residential, or otherwise. Many landlords are not aware that they may be held legally responsible for damages resulting from the activities of the tenants that occur on the landlord’s property. It may not matter that the landlord knows nothing about what the tenants are doing. The landlord should be cognizant of the potential of illegal activities occurring on their property. Confiscation of the leased property in the more egregious cases. Retailers who sell counterfeit goods have been more frequently found to do so within commercial and retail spaces. It can also happen on residential property, though those instances are more unusual. The counterfeit goods may consist of apparent designer label high-end luxury goods or regular consumer goods being sold as name brand products. When the trademark owner learns about the counterfeit sales, the trademark owner sues the sellers for fraud, trademark infringement, and any other cause of action that applies. The trademark owners do not just sue the sellers. The trademark owners also name the landlords in these lawsuits and ask the court to hold the landlords responsible for their tenants’ illegal activity. Many courts are receptive to the trademark owners claims. Often, a seller misrepresents a product and its origin by labelling the product falsely with the brand of the real trademark owners. By deceiving buyers into believing that the goods are genuine, the sales of counterfeit goods results in substantial losses to the real trademark owners. You may find this kind of activity in a shopping mall where one of the retail tenants is selling handbags or shoes by misrepresenting them as designer products. If the landlord knows or should know what is going on, the court may find the landlord liable if the landlord has done nothing to stop it. The court is not going to sympathize with a landlord if the landlord had evidence to suspect the tenant was selling counterfeit goods and simply ignored it. 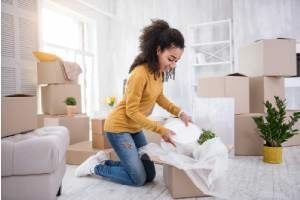 The court will not let the landlord ignore evidence of the tenant’s illegal sales activity and attempts to avoid responsibility by claiming the landlord had no knowledge that it was occurring. This constitutes “willful blindness” and is equivalent to actual knowledge for purposes of determining trademark infringement liability under the Lanham Act. The landlord has the right and power to control and supervise the acts of the tenant. This means that even though a landlord is completely unaware that counterfeit goods are being sold on the leased premises, the landlord can nonetheless be found liable. An example of where this can happen is a landlord of an open-air market where a stall vendor sells counterfeit music recordings. By now it should be obvious to you that landlords cannot simply turn a blind eye to their tenants’ sale of counterfeit goods. Selling counterfeit goods is likely a trademark infringement. It may also infringe on multiple intellectual property rights owned by another entity. Besides trademark infringement, selling counterfeit goods can also violate other people’s copyrights and patent rights. The result can be significant liability on the part of the landlord. 1. Expressly prohibit criminal activity in the lease. Make sure the lease prohibits any criminal activity and makes it clear that criminal activity is grounds for immediate eviction without notice. 2. Enforce the lease provisions. Enforce the lease prohibitions by immediately evicting anyone who violates these provisions. 3. Investigate immediately upon suspecting illegal activity. If you have any grounds to believe that your tenant is selling counterfeit goods, or you receive any complaints or allegations from anyone about your tenants’ sale of counterfeit goods, take immediate action. Consult a trademark infringement attorney to assist you in investigating the allegation to determine if there is any criminal activity going on. Whether the landlord can actually monitor or inspect the tenant’s merchandise is a bit unsettled. A landlord can actually expose itself to liability if the landlord’s attempts to weed out fraudulent sellers are not successful. Unsuccessful attempts to identify fraudulent sales in some cases can indicate that the landlord suspected wrongdoing but did not do enough to root it out and in fact is turning a blind eye. Rather than handling this situation alone, the landlord should take no action to monitor or inspect the merchandise unless and until the landlord is put on actual notice of the illegal activity. 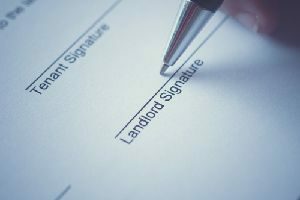 What specific steps the landlord should take will depend on the circumstances of the specific situation. A landlord should not take action before seeking the assistance of an experienced trademark infringement attorney. If you are a landlord who leases retail space to anyone who sells name brand merchandise, protect yourself against trademark infringement claims. Get advice on the best way to handle a tenant who is engaged in illegal activity on your property. Contact one of the experienced trademark infringement attorneys at KPPB LAW immediately to discuss your situation and for more information.